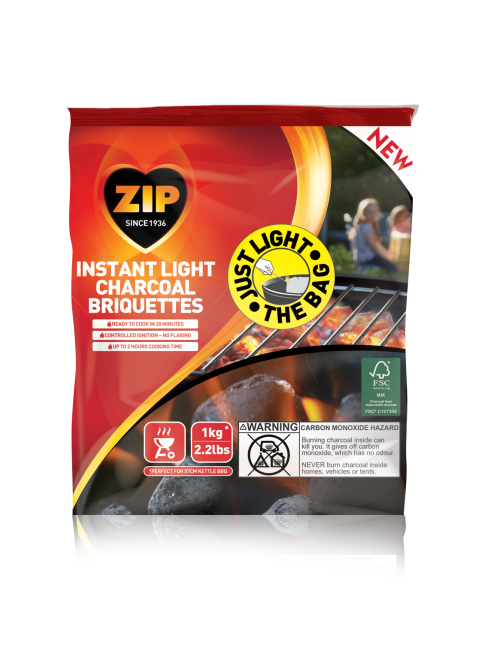 The new Zip Instant Light Charcoal Briquettes are convenient, reliable and easy to use. Just light the bag and the charcoal briquettes will be ready to cook in 20 minutes. Giving you up to 2 hours of cooking time, with a consistent heat, they will BBQ food to perfection! Open all vents in the BBQ. Place the bag centrally on the bottom charcoal grate/pan. Once the flames have died down and the charcoal has ashed over (approx. 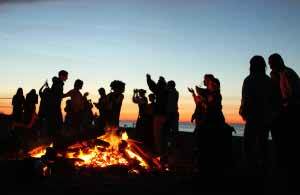 20 minutes depending on outdoor wind conditions), spread the charcoal as desired. The BBQ is now ready to cook. WARNING! This product emits carbon monoxide which has no odour. 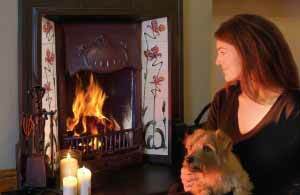 NEVER burn charcoal indoors or in confined spaces. Use only in well ventilated areas. Do not use lighter fluid or other flammable liquids or solids on the BBQ. Never leave the BBQ unattended. Never touch, attempt to lift or move the BBQ once lit. After cooking, ensure ashes are completely cool before disposal. Dispose of ashes responsibly. 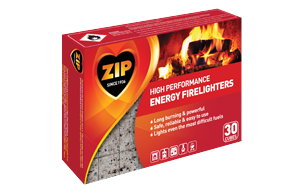 Store the product in a cool, dry place away from all sources of ignition. To prevent any cross contamination, keep cooked and raw food separate, including all plates and utensils. Ensure all food is thoroughly defrosted before placing on the BBQ. Clean your BBQ before and after use (especially if it is kept outside). Heat the BBQ up prior to cooking to burn away any excess grease. Light the BBQ well in advance, and wait until the charcoal is glowing red with a powdery grey surface before you start to cook (usually 20 minutes). 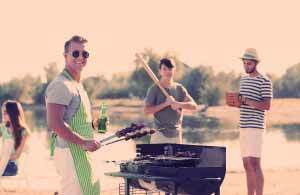 The food will stick when you first place it on the BBQ, however it will become looser when the food has begun to cook – so give it a couple of minutes before trying to move it. 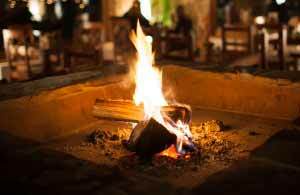 Make sure that you pay attention at all times to the fire and the food you are cooking and never desert your post! 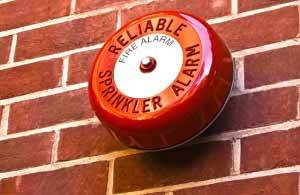 Food will cook best over glowing embers, so have a spray bottle of water handy to extinguish any flames as they may appear. Use the right utensils. Long-handled tools and long BBQ mitts protect you from the heat. Cover the BBQ if you are looking to recreate the effect of a conventional oven, e.g. to cook a whole chicken or large joints of meat. Every time you lift the lid, add extra cooking time! 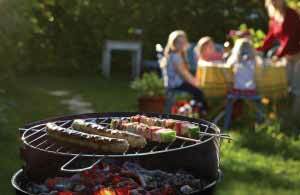 Your BBQ can be used for more things than just a BBQ! It is a source of heat just like any other cooker – why not use saucepans, frying pans and even a wok on top of the BBQ.